Cisco Partner Summit 2017: The Global Award for ISV Partner of the Year goes to… Veeam! Here at Veeam, our alliance partners are at the core of our business, and we continually work together with them to deliver Availability for the Always-On Enterprise. Cisco has been one of our key alliance partners for many years, and in recent months, we further strengthened our partnership through several strategic movements for the benefit of our customers. Earlier in August, we announced that Veeam will be added to the Cisco Global Price List by the end of the year, enabling one-stop shopping: Cisco and its resellers can deliver our Availability solutions together with any Cisco software or hardware product. In breaking news, last week was a special week for Veeam as we were invited to attend the Cisco Partner Summit 2017 in Dallas, TX and was honored with the Cisco Partner Summit Global Award for Independent Software Vendor (ISV) Partner of the year. 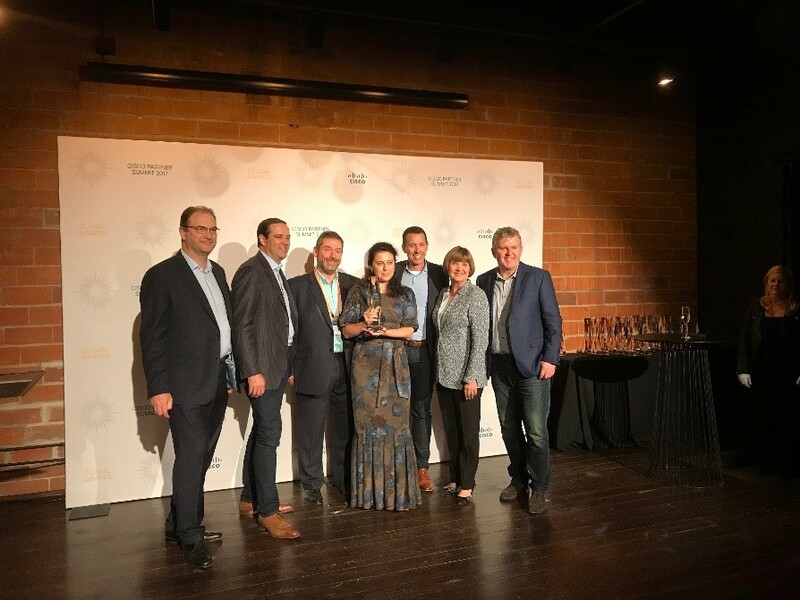 We are delighted to be a winner, and I want to point out that the Cisco Partner Summit Global awards recognize top Cisco partners demonstrating superior business practices and best-in-class methodologies. This award confirms our efforts of delivering the best Availability solution on the market, as the judging criteria include innovative processes, architecture-led successes, strategic business outcome-focused programs, seizing new opportunities, and sales approaches. The theme for Cisco Partner Summit this year was “OWN IT,” and I believe this best describes the rapid momentum of Veeam and Cisco. This award caps off a year of milestones between Cisco and Veeam including the publishing of multiple Cisco Validated Designs (CVDs), Veeam adding unique integration to Cisco HyperFlex, and of course, Veeam being added to the Cisco Global Price List (GPL). Another piece of news is that Cisco field and channel partners will now be able to configure, quote and order Veeam Availability solutions through Cisco Commerce Workspace (CCW). This greatly extends Veeam’s reach into the data center throughout the world. For our partners, they now have pre-validated configurations in CCW, making it much easier to quote and configure our joint solutions, simplifying and speeding up the entire sales process. For our joint customers, this provides confidence in our joint solutions, since a pre-requisite for being added to the program is that all solutions must go through a validation process. But wait — that’s not all. There will be even more things coming from Cisco + Veeam – Veeam will also be part of Cisco dCloud which provides an online way to offer demos, training and sandboxes for Cisco architectures. This means partners will be able to easily show the way Veeam integrates with HyperFlex and further enhances Cisco UCS. As you can see, this year has definitely been the most impactful year with Cisco in Veeam history, and I look forward to continuing to strengthen our relationship with Cisco and helping our joint customers with their data Availability and digital transformation challenges. To find out more about this award, you are welcome to visit our News Room.